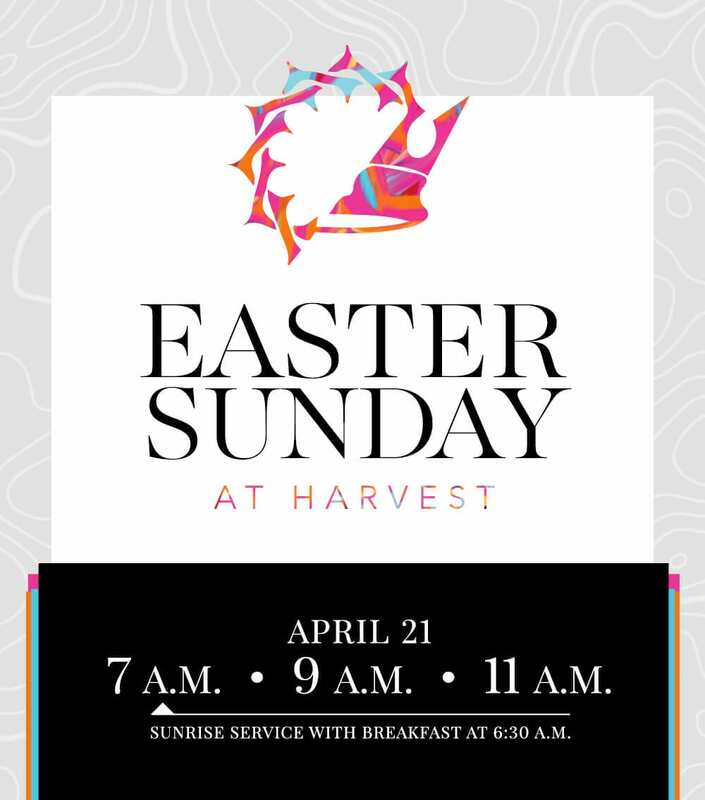 If you’ve ever thought about attending church, there’s no better time than this Easter. Come celebrate the incredible news that Jesus is alive! 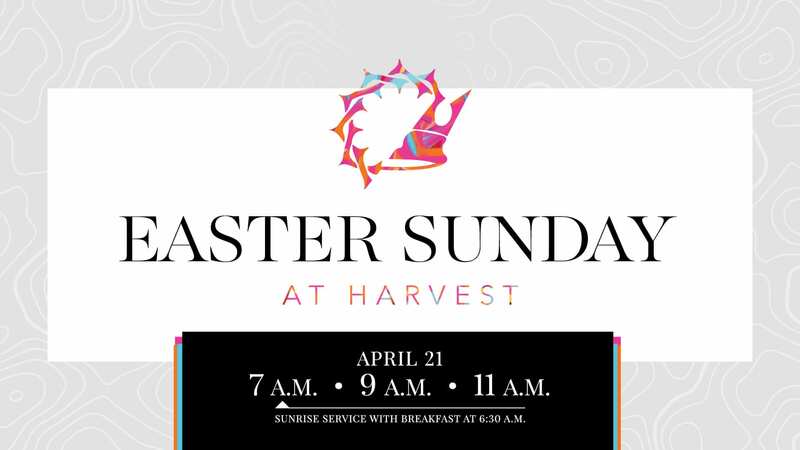 Sunday, April 21 at 7 a.m., 9 a.m., and 11 a.m. Harvest Kids available up to grade 5. Please reserve seats for you and any family members / friends you will be bringing. We'll also be there for breakfast at 6:30 a.m.
How many children do you intend to check in at Harvest Kids? Invite your friends and family by sharing a link to this page. 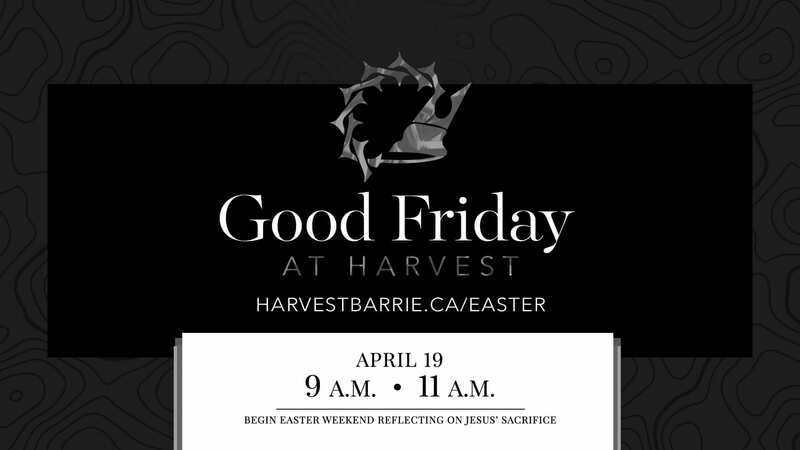 Join us as we begin Easter weekend by remembering how Jesus was crucified and buried to pay for our sin. Friday, April 19 at 9 a.m. and 11 a.m.